Contrary to what most people believe, age does not stop me from staying active. In fact, I am much more active now compared to 10 years ago. Did you know eating a poor diet and lack of exercise will result in chronic disease? Unfortunately, aging will cause stiffness in the joint and decrease our mobility, worse still problem such as osteoporosis, joint inflammation or osteoarthritis which restricts us from our active lifestyle. Thus, it is crucial for us to keep active to stay healthy and to live life to the fullest. Of late, I've been taking Lynnity Botanic Health supplement to help improve my bone and joint health. Mind you, I still want to be able to punch hard and kick high, 10 years from now. Lol This revolutionary, natural stem cell & multi-mineral ingredients is packed with unique ingredients that help to protect our cartilage tissues, improve bone density and add mobility. Regular consumption can also help prevent osteoporosis. 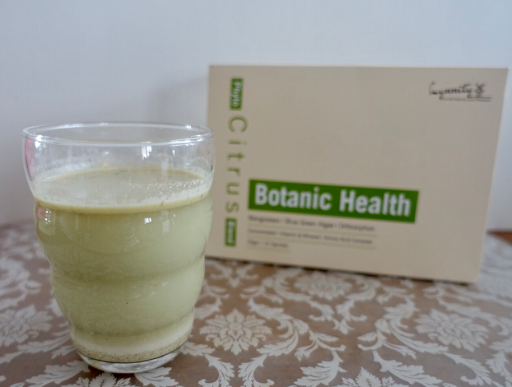 Ingredients : Pomegranate, Mangosteen, Blue Green Algae, Orthosiphon(misai kuching), Lithothamnion Seaweed, Black Ginger, Ascorbic Acid, Oat Bran, l-arginine, Taurine. My verdict : Very palatable and highly nutritious, the milky beverage was slightly beany in flavour with chalky texture. It is advisable to drink upon mixing it, to prevent chalky bits in the bottom of the drink. A proprietary blend of essential oils which is great for soothing minor discomforts. The oil based roll-on consists of an exclusive blend of pure essential oil formulated to use as an invigorating, energizing and relieving scent. Just apply it on the forehead, temples and neck, anytime, anywhere when needed! The handy roll-on applicator is convenient to be carried in bag, perfect for those on the go. Lynnity Relief is suitable for men and women as well. It is the best companion at work, or even at the gym. 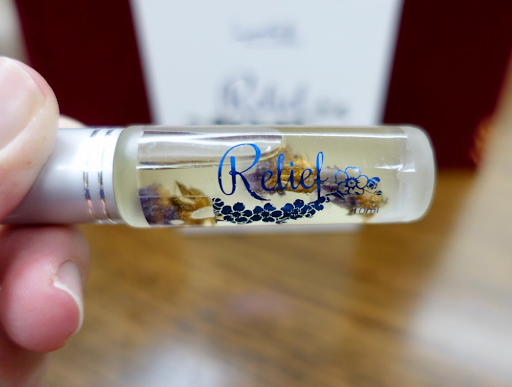 After long hours at work or after a good workout routine, Lynnity Relief invigorating scent inspires an upbeat and energetic approach to keep you active. Apply on arm, hand and knees, before and after exercise, rub on shoulder and lower back muscles after heavy lifting, rub on temple before driving to help relieve stress and rub over heart, temples or wrists to elevate energized mood and promote vitality. It also provides a soothing and calming effect during a woman's menstrual cycle, just apply it to the abdomen area. The calming aroma helps to soothe heightened emotions too. Also suitable for baby and kids, the Lynnity Relief can be applied topically to the chest, back or bottom of the feet in the evening to calm the senses and promote a restful sleep. Ingredients : Mentha piperita (Peppermint) oil, Abies balsamea (Balsam Canada) needle oil, Eugenia caryophyllus (Clove) bud oil, Cocos nucifera (Coconut) oil, Lavender Flower, Hawaiian Sandalwood, SunFlower, Eucalyptus Leaf, Clary Sage Flower, Roman Chamomile Flower, Cedarwood Wood, Ylang Ylang Flower, Geranium Plant. 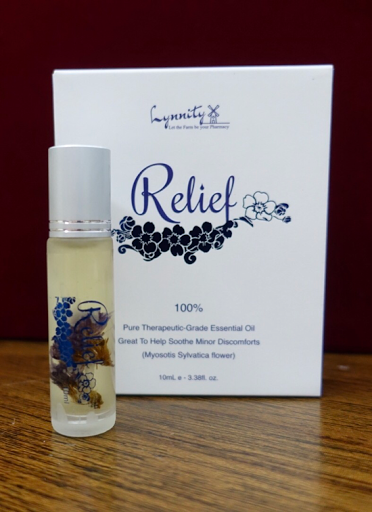 My verdict : Lynnity Relief has a medicated oil scent that mimic the iconic Axe Brand oil. However, this one smells much more pleasant with a cooling effect. Simply adore the lovely lavender flower buds in the oil and it help me feel refreshed while at the same time soothe my sore muscles. 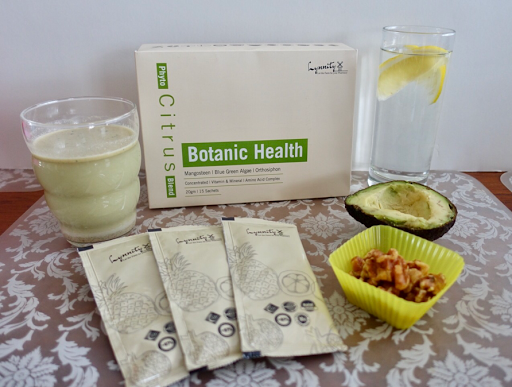 Strong bones & joints & healthy heart for your Active Life with Lynnity Botanic!